Kansas Cafferty LMFT: Psychotherapy and Recovery. Sober at 18. Kansas Cafferty, LMFT is an addiction specialist with over 20 years of experience treating substance use disorders. 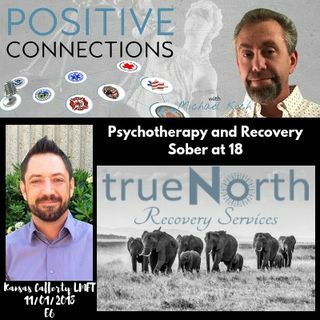 He is the founder of True North Recovery Services www.sandiegoaddictions.com. He is actively engaged in clinical and advocacy work and also serves as the Commission Chair Elect for the National Certification Commission for Addiction Professionals at NAADAC www.naadac.org.